Building a brand around your writing can often be much harder than building a brand around a business. As an author, your writing and your brand have to represent you and your beliefs. You have to discover what you want to share with others and what value you can add to another person’s life. You’ll need to clearly articulate your ideas, purpose, and vision, in order to develop a loyal group of followers. When you consider your brand, you have to devise a cohesive, powerful, and informative persona that represents your vision as an author. Every post about you and every bit of information you put out into the world through radio, tv, print, and social media should add to your persona and create an image to help your fans understand who you are and what you stand for. Once you’ve decided who you are and what your message is, you can use social media to disseminate your message. Everything from your books and social profiles to blog posts and article contributions should generate the same message about your brand. If you want to be successful, you’ll need to shape and manage the perceptions of your readers by controlling the message you broadcast. Just as everything in your books has a reason and a purpose, so should every part of your periphery writing; including podcasts, interviews, and social media posts. 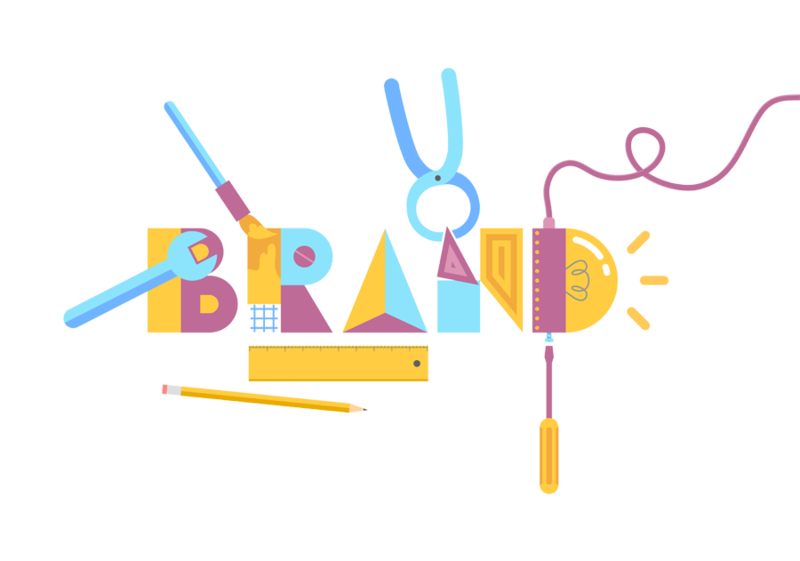 While your brand identity is the first step in building a compelling and interesting author brand, awareness is another crucial step in ensuring your brand generates interest. When trying to define your brand beyond ideas and writing, you’ll need to develop a visual aspect that you can confidently promote. A main logo with a text or graphic focus. Two or three brand colors. Cohesive book covers, illustrations, artwork. One main brand font and one accent font. Social media accounts including Facebook, Twitter, Instagram, and a blog. Style elements like patterns and icons that are immediately recognizable as yours. When all of these elements are cohesive and professional, people are much more likely to view you as a reliable source for information. To ensure every part of your branding looks polished, you can take creative control and print everything yourself or you can approach a professional printer. If you’re working on your own, you’ll need to plan for several thousand copies of each printed brand item, so find a cost effective solution with a good printer and reliable, cheap ink cartridge refills. Once every element of your brand looks respectable and sophisticated and your voice is secure and refined, you’ll need to develop a launch strategy that will bombard potential readers with your identity and values. Promote yourself with a digital media kit, word of mouth, collaboration with other authors, and your content, including books, blogs, audio, video, and email blasts. As your brand enters the social sphere, gauge your audience. Are they interested in what you have to say? Do they approach you as a knowledgeable and respected source? Are they respectful of your identity and message? Answer each of these questions and re-evaluate your brand identity based on your findings. Modify your brand as necessary and continuously hone it to ensure ongoing interest from your fans. What Can a Powerful Brand Do for You? A powerful brand is more than just a way for you to create interest and boost popularity, it also acts a guide by which you can plan your activities and goals. When you maintain a cohesive voice and image, it’s easy to find others that are interested in similar topics and activities. You don’t have to boost your brand alone. Connect with other authors in the same niche and, when you work together, you gain fans and readers from both spheres. Keep your ideas consistent and your persona intact to ensure people can identify with their perceived notion of you. Build your reputation and identity with a strong author brand.